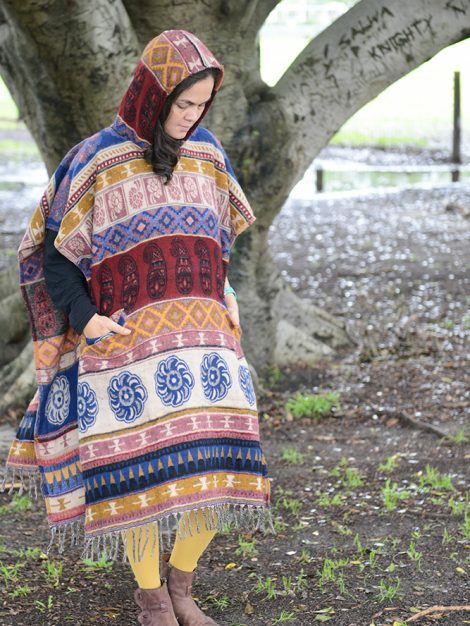 Our cosy woolen Ponchos are the perfect winter warmer for any occasion, providing the warmth of a jacket with freedom to move! Festivals, football games, night on the beach, evening strolls, backyard bbq’s anytime, anywhere your social calendar meets with cooler weather moments. 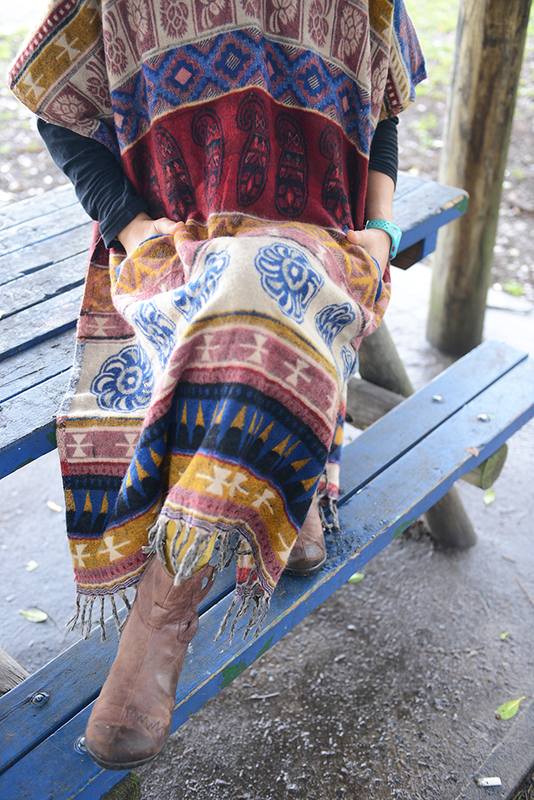 Made from Yak wool blankets, our ponchos are very gentle and soft on the skin. 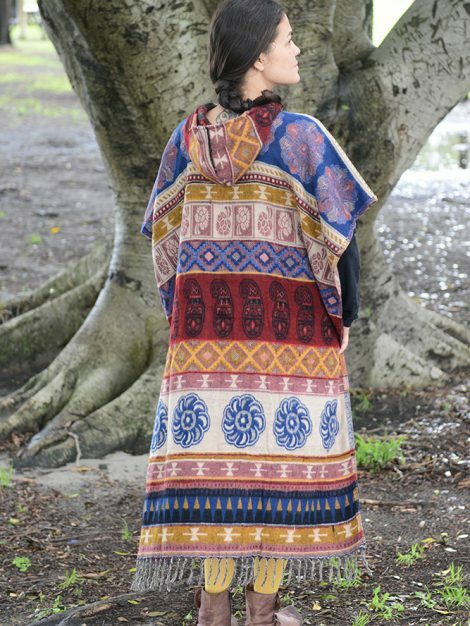 Inspired by the traditional poncho, our beautiful blankets have been transformed into providing the upmost warmth and comfort while feeling as light as a feather. 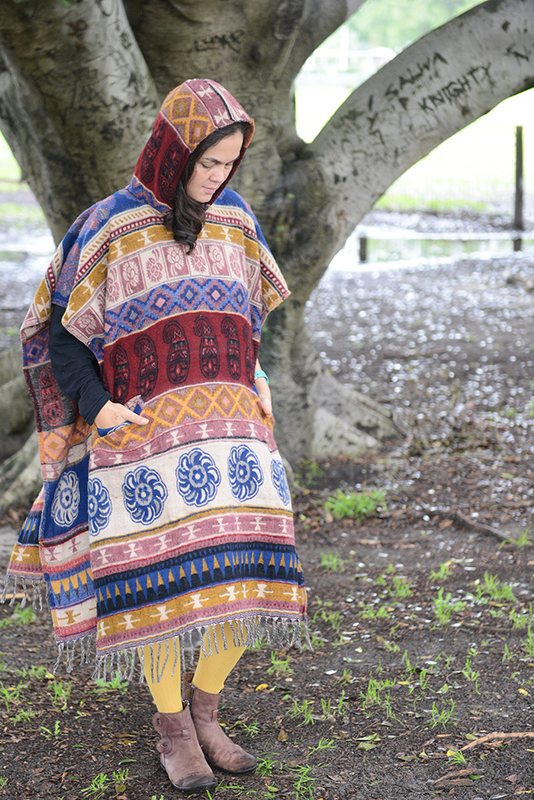 The poncho overlaps the body like a second skin while the hood cocoons the head and the pockets warm the hands. 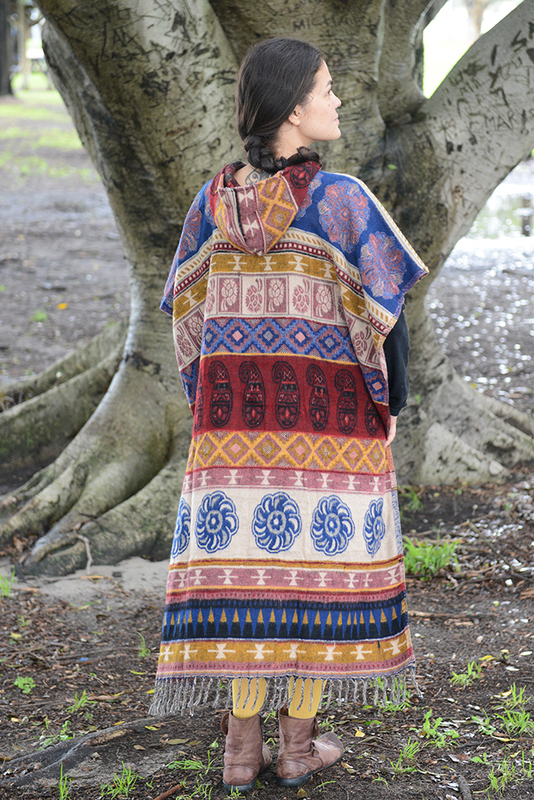 Beautiful Mayan inspired prints in an array of rich warm rustic colours to suit. 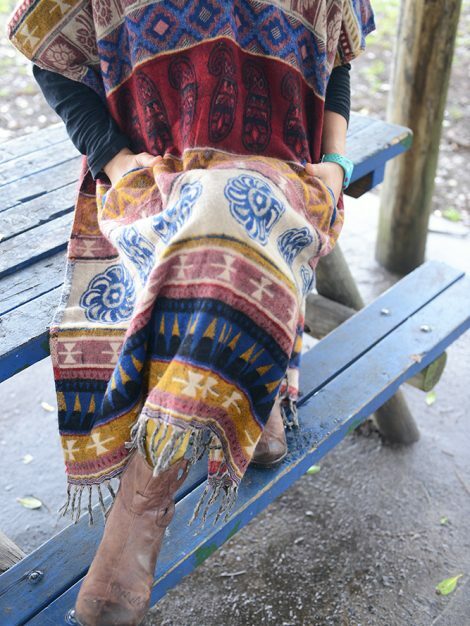 This is the knee warmer, the longer version finishing around the knees for extra warmth.